I study social influence and intergroup relations. I am especially interested in the ways in which social norms, beliefs, and values influence people's perceptions and behaviors in social contexts. Much of my research has focused on gender, and in particular, on the ways in which social beliefs and conventions regarding gender serve to reproduce and sustain gender differences and divisions. I have also studied a number of issues related to college student life, including the social dynamics of alcohol use and the antecedents and consequences of academic and extracurricular choices. My current projects focus on three topics: the influence of essentialist beliefs on intergroup relations, the social consequences of violating gender stereotypes, and the role of personal values in the evaluation of everyday life. Jost, J. T., Banaji, M. R., & Prentice, D. A. (Eds.). (2004). 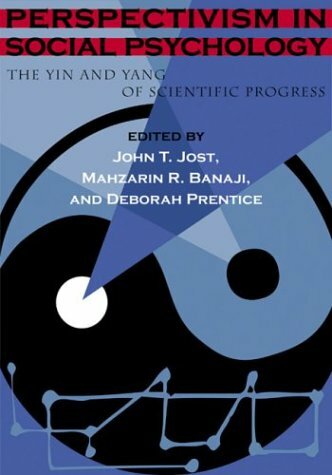 Perspectivism in social psychology: The yin and yang of scientific progress. Washington, DC: American Psychological Association. Prentice, D. A., & Miller D. T. (Eds.). (1999). 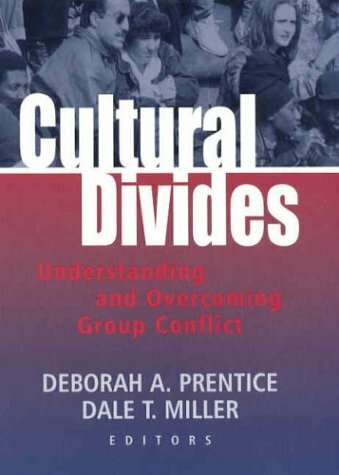 Cultural divides: Understanding and overcoming group conflict. New York: Russell Sage Foundation. Cantor, N., Kemmelmeier, M., Basten, J., & Prentice, D. A. (2002). Life task pursuit in social groups: Balancing self exploration and social integration. Self and Identity, 1, 177-184. Miller, D. T., Downs, J. S., & Prentice, D. A. (1998). Minimal conditions for the creation of a unit relationship: The social bond between birthdaymates. European Journal of Social Psychology, 28, 475-481. Prentic, D. A., & Carranza, E. (2002). What women and men should be, shouldn't be, are allowed to be, and don't have to be: The contents of prescriptive gender stereotypes. Psychology of Women Quarterly, 26, 269-281. Prentice, D. A., Gerrig, R. J., & Bailis, D. S. (1997). What readers bring to the processing of fictional texts. Psychonomic Bulletin and Review, 4, 416-420. Prentice, D. A., & Miller, D. T. (2002). The emergence of home-grown stereotypes. American Psychologist, 57, 352-359. Prentice, D. A., & Miller, D. T. (1992). When small effects are impressive. Psychological Bulletin, 112, 160-164. Rapp, D. N., Gerrig, R. J, & Prentice, D. A. (2001). 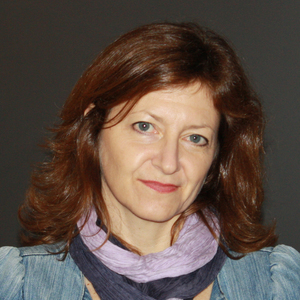 Readers’ trait-based models of characters in narrative comprehension. Journal of Memory and Language, 45, 737-750. Schroeder, C. M., & Prentice, D. A. (1998). Exposing pluralistic ignorance to reduce alcohol use among college students. Journal of Applied Social Psychology, 28, 2150-2180. Miller, D. T., Monin, B., & Prentice, D. A. (1999). Pluralistic ignorance and social identity: When the group and the individual diverge. In D. J. Terry & M. A. Hogg (Eds. ), Attitudes, behavior, and social context: The role of norms and group membership (pp. 95-113). Mahwah, NJ: Erlbaum. Prentice, D. A. (2000). The individual self, relational self, and collective self: A commentary. In C. Sedikides & M. B. Brewer (Eds. ), The individual self, relational self, and collective self: Partners, opponents, or strangers? (pp. 315-326). Philadelphia, PA: Psychology Press. Prentice, D. A., & Carlsmith, K. M. (1999). Opinions and personality: On the psychological functions of attitudes and other valued possessions. In G. R. Maio & J. Olson (Eds. ), Why we evaluate: Functions of attitudes (pp. 223-248). Mahwah, NJ: Erlbaum. Prentice, D. A., & Carranza, E. (2003). Sustaining cultural beliefs in the face of their violation: The case of gender stereotypes. In M. Schaller & C. Crandall (Eds. ), The Psychological foundations of culture (pp. 259-280). Mahwah, NJ: Erlbaum. Prentice, D. A., & Gerrig, R. J. (1999). Exploring the boundary between fiction and reality. In S. Chaiken & Y. Trope (Eds. ), Dual-process theories in social psychology (pp. 529-546). New York: Guilford.